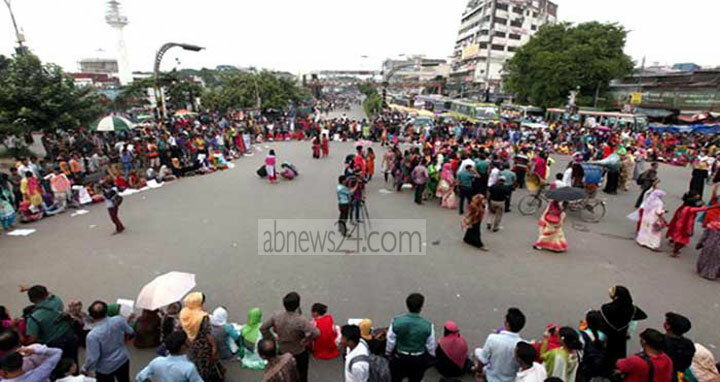 Dhaka, 08 Oct, Abnews: Students of 7 colleges affiliated with Dhaka University have blocked a Nilkhet road and surrounding areas demanding publication of exam results. The students took position at Nilkhet crossing around 9.00am causing immense traffic congestion in the surrounding areas.. 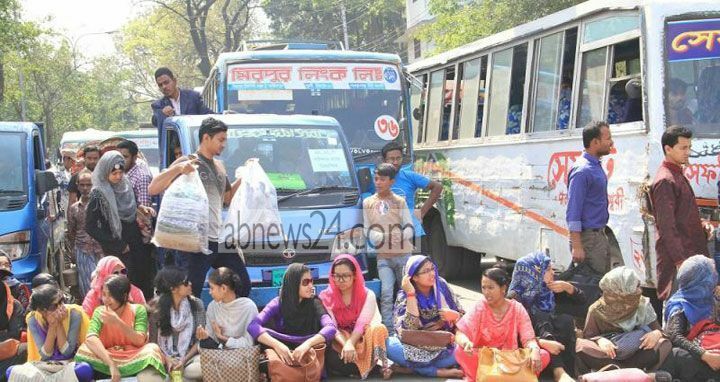 The agitating students were from Dhaka College, Eden Mohila College, Government Shaheed Suhrawrdy College, Kabi Nazrul Government College, Begum Badrunnesa Government Mohila College, Mirpur Government Bangla College and Government Titumir College. Students said they were staging the demonstrations to press home their five-point demands including publication of the fourth year result of their honours course. They said the colleges affiliated with the National University published the result of the same course in last May and alleged that they are not being able to get admitted to the graduate course due to the delay in the results. Earlier on 5 October, the students announced the five-point demand which included withdrawal of cases against 1,200 college students, publication of academic calendar, publication of routine for third year students and launching a new website for the DU-affiliated colleges.